This is the third post of The Chinese Businessman Paradox. View the previous post here. A couple of years ago, my mum asked me for the birth date and the birth hour of a girl I was dating. The bagua are eight symbols found in The I-Ching— the handbook of Chinese cosmology that is said to represent the principles of reality. The bagua is used for a variety of things — things like telling if a match between partners is suitable, predicting if you were going to have health problems in the coming year, or foretelling if a spell of bad luck was about to beset your business. The bagua. Each colour represents a different trigram and element. For relationship matches, a Chinese fortune teller would take the birth datetimes of two people, do some ‘calculations’ to get the ‘fundamental element’ of the person’s personality type, and then look up the details of this particular matchup. The fundamental elements could be one of five things: fire, water, wood, earth, and metal. My mother, like many overseas Chinese, believed in the methods of the I-Ching with the confidence you and I have for gravity, or quarks. I was mostly insulted that I was considered a small flame. You may laugh at this anecdote, but the influence of superstition is alive and well amongst the overseas Chinese. It is an indelible part of our cultural identity. When my mum found out that I planned to leave my old company to start a company of my own, she went to the fortune teller to get my Chinese name changed, and had a pendant made with my new name engraved on it. The Chinese believe a good name would help a person on their adventures. I know she did this out of love for me. 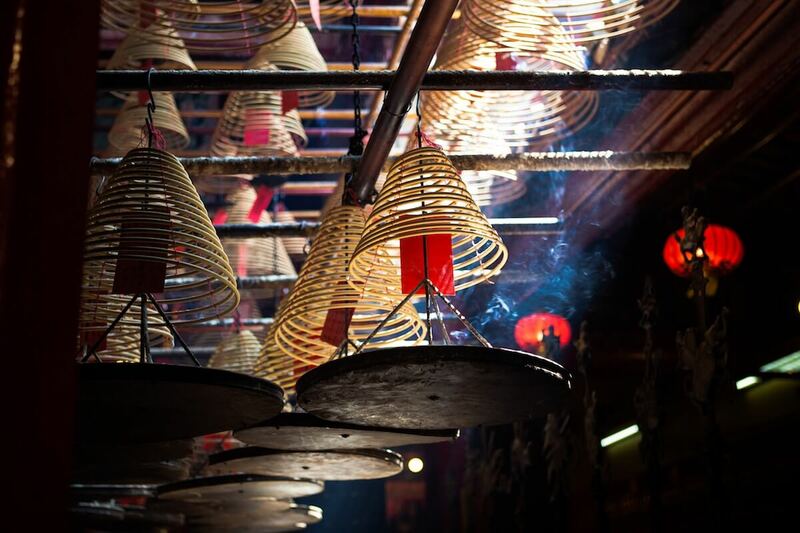 It’s no surprise that superstition is alive and well in the greater Chinese diaspora. Traditional Chinese businessmen are no exception. Malaysian tycoon Robert Kuok best typifies this approach to superstition. In his memoirs, Kuok mentions an episode where he was nearly hoodwinked by an Australian businessman, introduced to him by way of famous Singaporean stock broker Jacob Ballas. This Australian man arranged a meeting at a hotel downtown and invited Kuok over to have a chat. In Kuok’s own words — ‘he then proceeded to cast a spell over me’. The pitch Kuok received was so compelling that within hours Kuok was on the verge of handing over millions of dollars. Luckily for him, he excused himself at the last minute to confer with his mother. On the phone, Kuok’s mother listened for a few minutes, and told him to wait as she checked the fortunes. A few minutes later, she returned, clearly disturbed by the results, exclaiming “Stay away from that man! Nothing good can come of it!” Kuok immediately left the building. Kuok reflects on this and other events in his life and writes, later, “what is superstition but a part of life?” He mentions how he once wondered, in an off-hand comment to his mother, how it was that every business he touched eventually succeeded, and his mother responded that she was not surprised; she had checked his fortunes when he was young, and foresaw that he would do very well in business. I’ve mentioned before that I thought rationality matters for achieving success in business. But if rationality matters so much, how is it that an entire generation of Chinese businessmen could remain so superstitious yet achieve so much success? Let’s contrast this observation of traditional Chinese businessmen with impressions taken from the largest community of rationality practitioners on the web — a community called LessWrong. LessWrong was a community blog started by Eliezer Yudkowsky, whose writings on rationality are considered by members of that community to be amongst the best on the topic. Yudkowsky later wrote Harry Potter and the Methods of Rationality to popularise his ideas; HPMOR remains one of the most popular Harry Potter fan-fictions out there. It’s easy to dismiss the influence of this community — most people have never heard of it, much less spent time reading the Sequences. But I believe the ideas originally popularised by LessWrong’s members have spread throughout the intellectual blogosphere, due to the prolific output of its early members. Effective altruism was popularised and eventually helped into the mainstream by many writers of the LessWrong community; economist Robin Hanson was associated with an earlier iteration of the movement (his blog’s name, ‘Overcoming Bias’, is a carry-over from the old days, when he used to blog with Yudkowsky); AI prognosticators still draw on fanciful ideas developed on LessWrong years ago. Whenever you see the words ‘epistemic status’ in a blog post, or whenever someone invokes the idea of the Chesterton Fence or a Schelling Fence — you’re probably seeing LessWrong’s influence in action. The problem with LessWrong is that they don’t seem to do a lot of it. Today, Yudkowsky’s research at the Machine Intelligence Research Institute isn’t taken seriously by the majority of Artificial Intelligence researchers; very few of his papers have been published in peer-reviewed journals; LessWrong itself split up as a community, and the two startups to have come out of it have been abject failures. I have great fondness for LessWrong and its community, but let’s be honest: for everything that its members say about the importance of rationality to winning, very little of what they say has actually resulted in actual winning. On the other hand, an entire generation of superstitious migrant businessmen have succeeded across South East Asia, in the face of overwhelming odds and racial discrimination, despite a distinctive lack of ‘rationality’. Which begs the question: does rationality really matter for success in business? Superstition is the antithesis of all that LessWrong members prize, about as useful and as rigorous as believing in quack medicine and psychic science. If rationality matters so much in business and in life, how then do we explain the erroneous beliefs held by so many Chinese businessmen? Epistemic rationality — how do you know that your beliefs are true? Instrumental rationality — how do you make better decisions to achieve your goals? Jonathan Baron calls the first form — epistemic rationality — “thinking about beliefs”. He calls the second “thinking about decisions”. LessWrong has concentrated most of its efforts on epistemic rationality. The vast majority of writing on the site focuses its attention on common cognitive biases and failures of human thinking, and discusses methods for overcoming them. In other words, LessWrong’s community of rationality practitioners desire the ability to hold accurate and true beliefs about the world, and believe that doing so will enable them to achieve success in their lives and in pursuit of their goals. This is not an uncommon belief today. Ever since Daniel Kahneman and Amos Tversky introduced the Heuristics and Biases program in the 70s, there has been a wellspring of thought that overcoming our biases and developing better reasoning strategies would lead to greater success in life. You merely have to throw a stone at the mountain of self-help articles on Medium to see an example of this kind of thinking. My current bet, however, is that this simply can’t be true. LessWrong’s decade of existence, and my experience with traditional Chinese businessmen, suggests to me that instrumental rationality is the thing that dominates when it comes to success in business and life. It suggests to me that if you’re instrumentally rational, you don’t need to optimise for correct and true beliefs to succeed. You merely need a small set of true beliefs, related to your field; these beliefs can be determined from trial and error itself. In other words: put a traditional Chinese businessmen under one of Kahneman and Tversky’s famous cognitive biases tests and you will find that the businessman fails terribly. But compete with one of them in business, and it’s highly likely that you’ll be crushed. Perhaps the cognitive biases worth overcoming aren’t the ones explored by Kahneman & Tversky at all, because the academic literature focuses its attention on biases that can be easily detected in an experimental setting. Why, exactly, does this discrepancy exist? I believe it exists because compensating for cognitive biases quickly reaches diminishing returns, to the point where it’s probably not worth it to spend much time studying cognitive bias avoidance. I’m not the first person to be making these criticisms; in a 2012 LessWrong post Aaron Swartz argued that perhaps the cognitive biases worth overcoming aren’t the ones explored by Kahneman & Tversky at all, because the academic literature focuses its attention on biases that can be easily detected in an experimental setting. These biases might not be the biases that matter most for success. (…) Stanovich laments that almost all societies are focused on intelligence when the costs of irrational behavior are so high. But you can pick out the signatures of rational thinking if you are alert to them. According to Stanovich, they include adaptive behavioral acts, efficient behavioral regulation, sensible goal prioritization, reflectivity, and the proper treatment of evidence. This particular Chinese businessman demonstrated at least four of the traits listed by Stanovich. The last time I checked, he was still expanding his spa business in Singapore. In my previous post I’ve argued that trial and error dominates in business as compared to studying from theory and insight, and I want to highlight this as a clear example of a Chinese businessman learning the ropes by doing and failing. But you can also see where the superstition fits in — Chinese culture believes that luck is hugely important to business success, so they pray at temples, give offerings to deities, and pay fortune tellers to tell them what to do. My mother changed my name; Kuok’s mother paid to get his fortune told. The randomness of luck dominates in our cultural consciousness. I’ve mentioned previously that I’ve been digging into a pocket of human knowledge in pursuit of explanations for the success of the traditional Chinese businessman. The hope I have is that some of these explanations are directly applicable to my practice. Here’s my current bet: I think one can get better at trial and error, and that the body of work around instrumental rationality hold some clues as to how you can get better. I’ve argued that the successful Chinese businessmen are probably the ones who are better at trial and error than the lousier ones; I posited that perhaps they needed less cycles to learn the right lessons to make their businesses work. Don’t do trial and error where error is catastrophic. Don’t repeat the same trials over and over again (aka don’t repeat the same mistakes over and over again). Increase the number of trials you can do in your life. Decrease the length and cost of each trial. Actively look for disconfirming evidence when you’ve found an approach that seems to work. (Thinking and Deciding, chapter 7, Principles, chapter 3). This is very preliminary stuff, though, and I’ll probably only write them up when I have results worth reporting. But it’s important to note that this doesn’t take away from the act of actual practice. You cannot succeed in business by pure thought alone. I want to close here by saying that there could well be alternative explanations for the success of traditional Chinese businessmen, in spite of their superstition. One alternative explanation is that the businessmen I know don’t examine their beliefs for superstition as closely as they do their models for business, because the superstitious stuff turns out to not have a huge impact on their money. In contrast, superstitious beliefs and practices may actually help a business person deal with the psychological stress of facing randomness in business and in life. Another explanation that I find plausible is the argument that Kevin Simler makes in his essay Crony Beliefs: that is, that we hold certain beliefs for pragmatic reasons, but others for social ones, and it happens that superstition is useful to show that you are a member of an in-group. But my main point still stands: it doesn’t seem like the sorts of rationality that LessWrong prizes, or even the sort of rationality explored by Kahneman and Tversky’s research matter that much when it comes to success in business or in life. I suspect that instrumental rationality, deployed in the service of trial and error, is ultimately what matters. It is the thing that is worth striving for. View the next post here: Maybe Strategy Matters.